WellNL's Gift Certificates are the perfect way to treat your friends, family or the one you love! It’s also great to use as an incentive in your business! 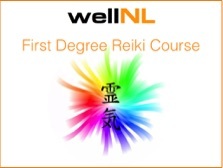 The wellNL Store also offers 'First Degree Reiki', the amazing healing gift. 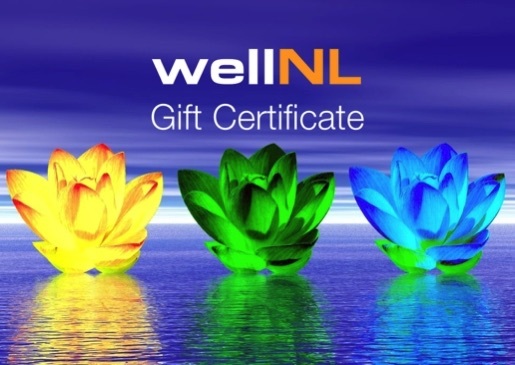 The wellNL Gift Certificate is available for Therapeutic, Chakra and Sports Massage Therapies and for Reiki Healing. You can choose the value of the certificate you wish, or if you want something specific, let us know and we will arrange it. You can pay directly or by using PayPal which accepts bank and credit cards, even if you do not have a PayPal account (see box to the right). Gift Certificates are valid for one year from the date of purchase, or an agreed valid from date.. If you have any questions, need more information or would like to make a booking, please email info@wellnl.com. The Gift Certificate may be used as full, or part, payment for any of the above treatments. The Gift Certificate is valid for one year from the date on the Certificate. The Gift Certificate includes Therapist travel to your location within the Amsterdam A10 ring road. Travel outside of the A10 may be subject to additional charges which you will agreed between yourself and wellNL before the treatment. Cancellation within 24 hours of a booked treatment may invalidate the Gift Certificate. The Gift Certificate may only be used by persons aged 18 years and over. wellNL reserves the right to refuse treatment on any reasonable grounds. If you are uncertain if massage may affect any existing medical condition(s), please consult your doctor before your massage. For women in the 1st trimester of pregnancy, massage treatment is not advised. Please inform your masseur if you are pregnant. All Client-Therapist information is treated in the strictest confidence and will not be shared in any way with any third party. *Click "Add to Cart" on your selection(s). You can adjust the quantity or remove items when you click "View Cart"